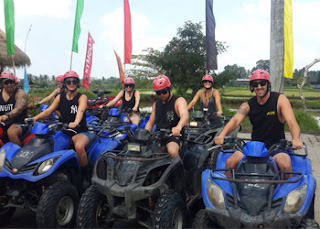 Bali ATV Ride Tour is Bali Activities Tour by offer a high quality of service of fun Bali Tour ATV Riding trips. Our experience Bali ATV Ride instructor will carry out a full safety briefing before riding through the cocoa plantation compound, Balinese villages, crossing back road tracks, rice terrace fields and take in the breathtaking views. If it's more of a challenge that you crave, Bali ATV Ride instructor will guide you through some of the most technical terrain our site has to offer, traverse seemingly impossible slopes, down hill and then use the full power of the bikes to ascend back to the up hill. The inner side of Bali Islands by exploring the island's hidden beauty in a way that you've never done before. Experience the excitement of riding a powerful semi automatic 250 cc ATV bike in central of the most stunning countryside Bali has to offer. 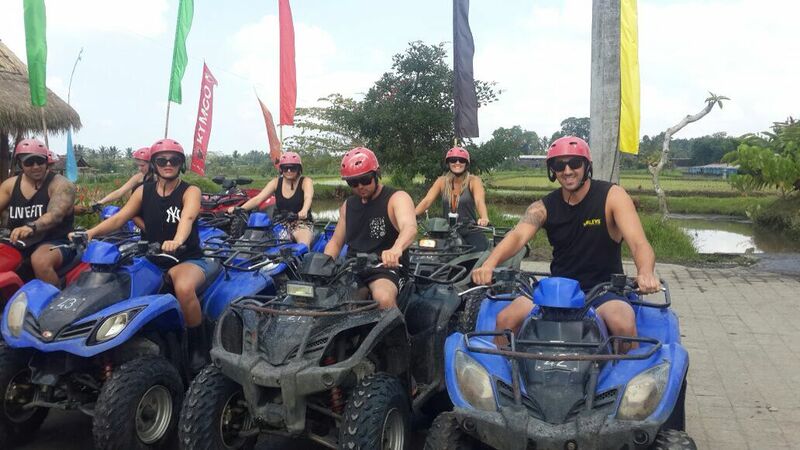 All of our Bali ATV Ride Tour are daily trips. Dry or raining season, Bali ATV Ride challenge must go on, depend to your self preference. Bali ATV Ride Tour Program offers you a four-wheeled motorcycle ride with unforgettable experience and challenging adventure to accomplish including going through the winding, sloping down and upward routes. 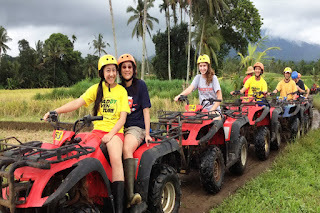 During ATV Ride Tour program, you will start from our start point through the rice terrace and see the farmer do the activities in the rice field and then passed the local society village and see the social activities life. After that, you will go back to finish point through the local village nearby where you can experience the local village atmosphere together with its villagers' daily activities. This ATV adventure will take you to the most authentic parts of the islands, through the daily live of the view of the rice field, through the daily live of the community in the most exciting way. Discover places where tradition ways of living stil the same as before. Nusa Dua, Kuta, Seminyak, Legian, Sanur, Jimbaran, Ubud, and other place in Bali. Your reservation is abolutely secure. All personal data is encrypted and will be processed in a secure way. Sunia Bali Tour takes the privacy of your personal data very seriously. Your personal information will only be used to process your booking.